PIKEVILLE - Barbara Ann Lamm Lancaster, 86, died Sunday, January 13, 2019. Funeral, Wednesday, 1:00 PM, Pinkney Baptist Church, 3157 NC Hwy 581 N , Fremont, followed by a time of visiting and sharing. Burial will then be in the Lancaster Family Cemetery, Saulston. She was preceded in death by her husband, Henry D. Lancaster in 1986; parents, Blonnie and Gladys Renfrow Lamm and sister, Marie Joyner (Jimmy). 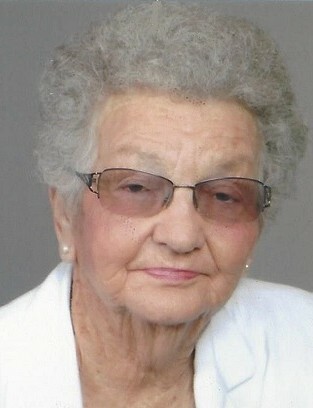 She is survived by her sons, Dan Lancaster (Rita) of Pikeville, Lee Lancaster (Cindy) of Greensboro, Bill Lancaster (Janet) of Hampstead; god-daughter, Jamie Owens of Pikeville; grandchildren, Daniel, Kyle, Joe, Ben and Lien Lancaster; step-grandchildren, Nikki Newlin and Kelly Jones; great-grandchildren, Dan, Sid and Colton; step-great-grandchildren, Hannah, Katlyn and Sarah; sister, Jeanette Baker (Joe) of Princeton. Memorials are suggested to Pinkney Baptist Church, 2872 NC Hwy 581 N, Fremont, NC 27830.